By going beyond the ordinary, Concept G Exhibitions & Events has positioned itself as major player in the exhibition industry. The word champion is derived from the Latin campio and refers to the victor in a challenge, contest or competition (noun) or to champion a cause (verb). A champion goes beyond merely promoting their cause, they are also ambassadors. Champions have an eternal belief in their cause and the passion to see it through. “In our industry, we must be expertly skilled at realising bespoke and system structures in the interests of health and safety as well as sustainability. In light of the words of Muhammad Ali, if the will is to be stronger than the skill, in the context of champion stand builders, our will is then extremely strong, uncontested. Our will is the core of our composition and this will is what keeps the champions of industry sustainable.” says Gill, CEO of ConCept G.
The Gibbs’ success lies in the fact that they are a part of entire process, from concept to realisation. 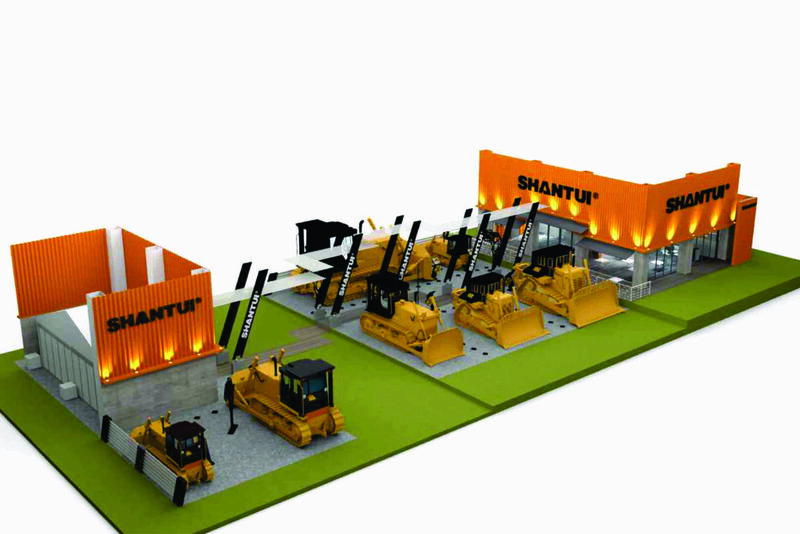 A perfect example of this is the outdoor stand they did at bauma Africa 2013. “An outdoor exhibition stand or activation has an entirely different spectrum of challenges that must be taken into consideration, which include the lay of the land, the weather, access to the site and available facilities,” says Gill. Among the highlights of 2013 for ConCept G are the stands that they supplied for the rAge Expo, a weekend-long exhibition that is dedicated to video games and technology. With over 30 000 visitors at this year’s expo, which is in its eleventh year, the stands needed to impress. “We produced sizeable innovative stands that were also practical for the exhibiting company. The show is about wow stands that pop and that work for the exhibitor and the visitor,” says Gill. Euroshop 2014, the industry expo, will be held in Dusseldorf, Germany, and will bring new trends and nuances to further enhance Concept G’s creative team. “At Concept G, instead of slapping our foreheads and saying ‘what was I thinking?’, we breathe and ask ourselves, what are we learning? We will take the lessons of 2013 and use these to maximum advantage and potential for 2014,” says Andrew, MD of Concept G.
From shavings from the panel saw to the smooth finish of the stand elements that emerge from the spray booth, from the rows of sparkling aluminium extrusions to the carefully wrapped and stored furniture and decor elements, Concept G’s team work together as one, with the same vision. They are the champions, working consistently and tirelessly, striving towards producing the perfect stand. rAge 2013: Intel, Xbox and EA Games stands.